In the previous chapter, I’ve explained about various editions of SQL Server 2016. 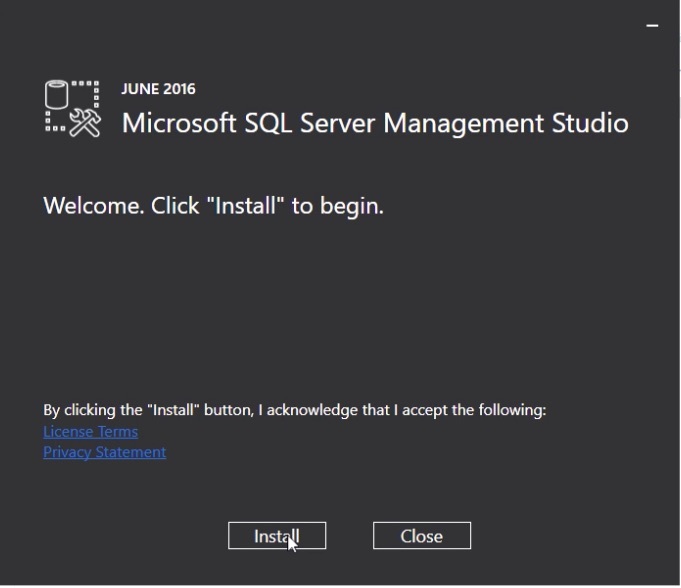 In this chapter, I’ll go through the installation process in a step by step manner with SQL Server 2016 Developer Edition. To start with, we’ll go over the hardware and software requirements. SQL Server Enterprise Edition: Windows Server 2012 or higher. Other Editions: Windows 8 or higher or SQL Server 2012 or higher. DotNet framework 4.6.1 is mandatory. Oracle JRE 7 Update 51 (64-bit) or higher is mandatory. Intel processor with a minimum of 1.4 GHz x64 bit. Minimum 6 GB of hard disk space. 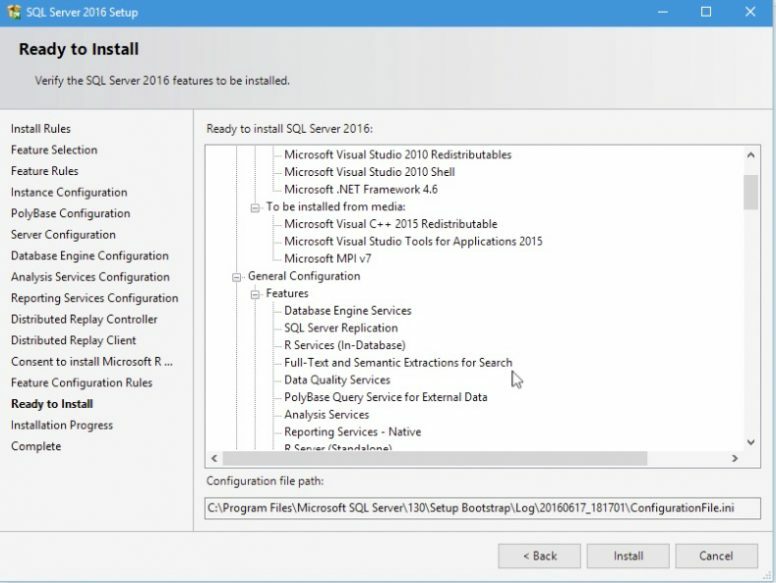 Follow the steps in the article (Get Free SQL Server Developer Edition), to download the setup file for developer edition and management studio. 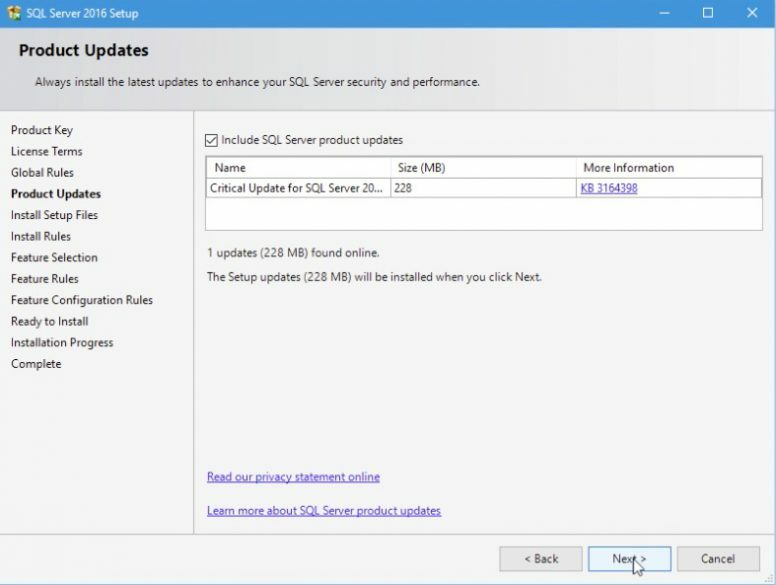 You need to download the SQL Server 2016 and the Management Studio separately. Once you have downloaded the iso file for SQl Server 2016, go to the downloaded location and mount the iso file by double clicking it or by right clicking the iso file and choosing Mount option. Then Go to the mounted drive and double-click the “setup” file. It will launch the SQL Server Installation Center Window. In the installation center go to the Installation panel. 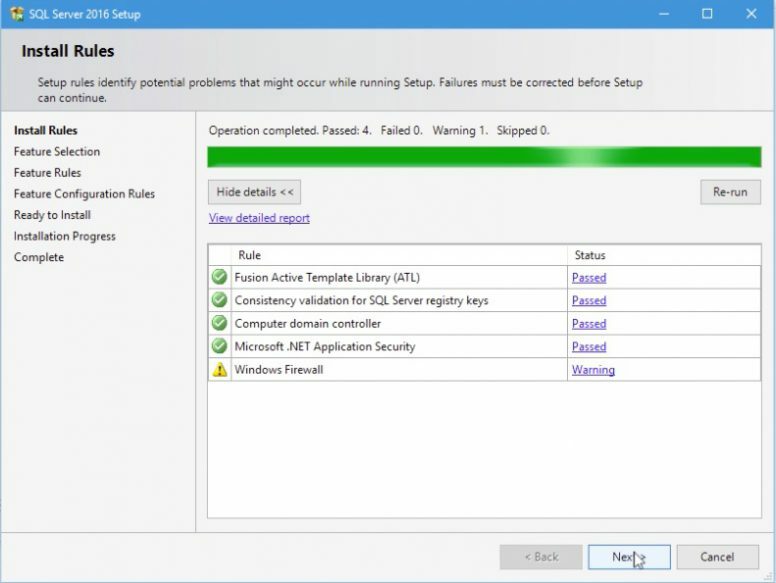 Select the New SQL Server stand alone installation… option. It will launch the Setup Window. In the setup window, you have to follow the instructions in the screen and press next to navigate. The first step will be the product-key section. As you are installing the free developer edition, just make sure the Developer is selected under Specify a feed edition. Product Key is not needed. Press the Next button to continue. 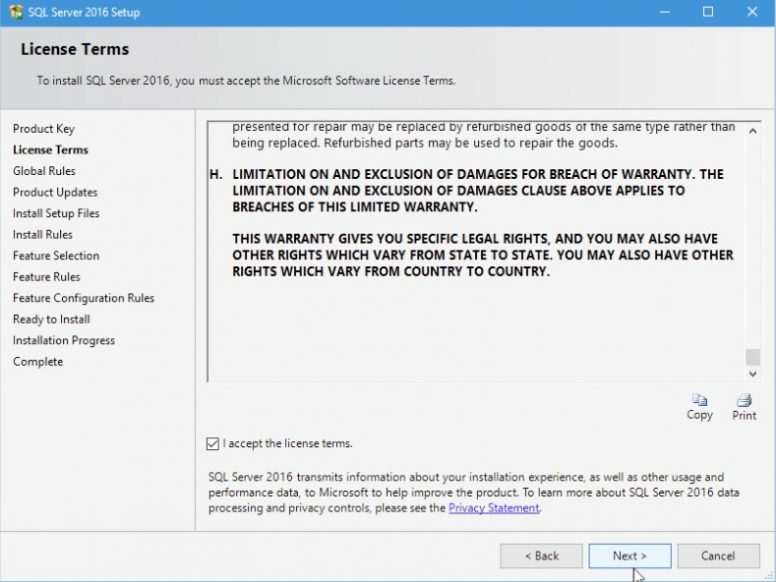 In the License Terms section, Accept the license terms and press Next button to continue. The setup will now check for the Global Rules and progress to Product Update section. Press Next to continue. Now the setup files required for the product update and installation process are downloaded and proceeds to the Installation rule checking step. Once the install rule checkup is over, I got a warning. The warning is due to the firewall. As it is just a warning, I’m ignoring it and moving to the next step. In the next step, you can select the features you want to install. I’m choosing all the features by pressing Select All button. On selecting the features, you can see the disk space required for installing the selected features and the space available in the default drive. At this stage, you can change the hard disk drive or the folder of installation by changing the Instance root directory. Press Next to continue. In this step the setup application will check for the pre requisite software based on the features we have selected in the previous step. If all the requirements are available in the server, the setup will proceed to the instance configuration step. In case if the required software like Dot Net 4.6 or Oracle JRE 7 update 51 or higher is not available, you may get error in this stage. In case if you get any such error, install the missing software and press Re-run to re check the rules. In the instance configuration step, you can change the name of the SQL Server instance. For now I’m leaving this to default instance and moving to next step. In the PolyBase Configuration step, you have to select whether this instance should be a standalone PolyBase enabled instance or not. 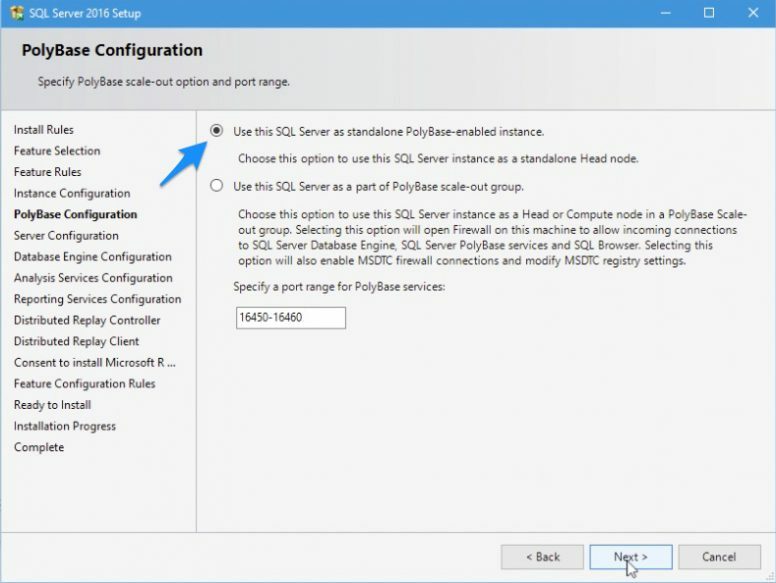 PolyBase can be installed only on one instance per server. As this is my default instance, I’m choosing standalone PolyBase-embeded instance option. 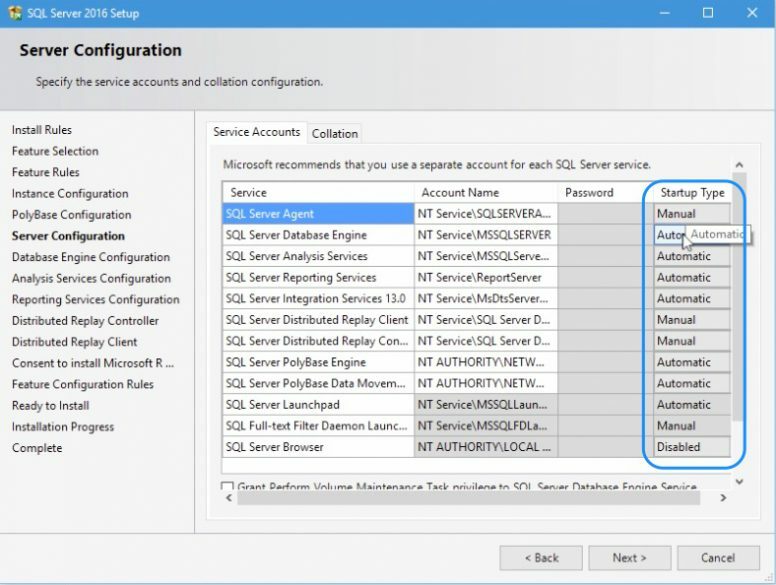 In the server configuration step, you can change the startup type of the SQL Server services. For example, If you don’t want the reporting services to start automatically on booting the PC, then change the startup type to Manual. After setting the desired startup type, move to the next step. In the database engine configuration step, you can just leave the authentication mode to Windows authentication mode. 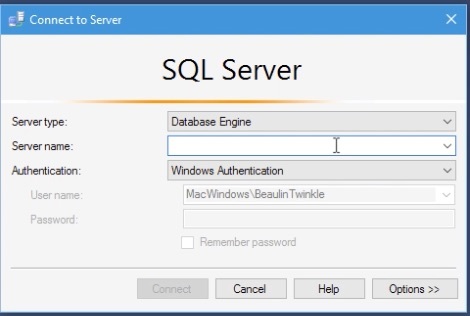 I would recommend to select the Mixed Mode, so as you can have another mode of logging in to the SQL Server if you want to login to the server or PC with different credentials. For mixed mode you have to enter the password for sa login and add a windows user as SQL Server administer. After filling these details, press next. 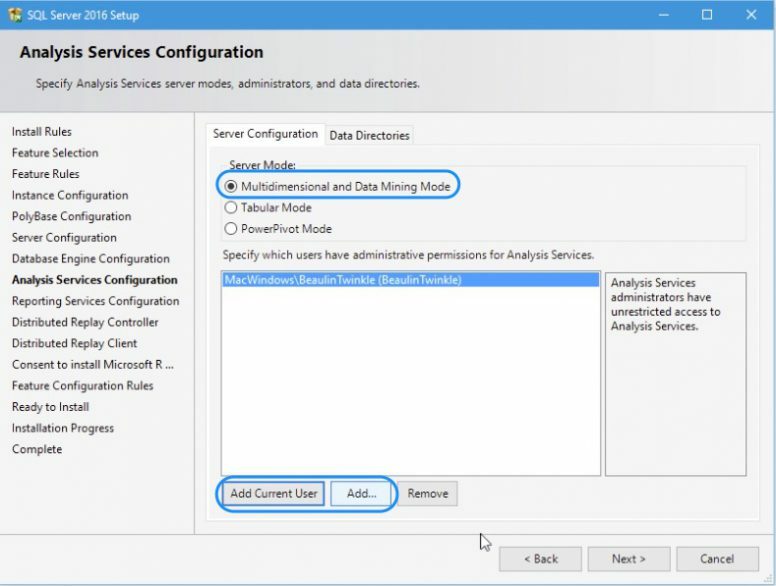 In the analysis services configuration, add a windows user for analysis services administrator and move on to the next step. 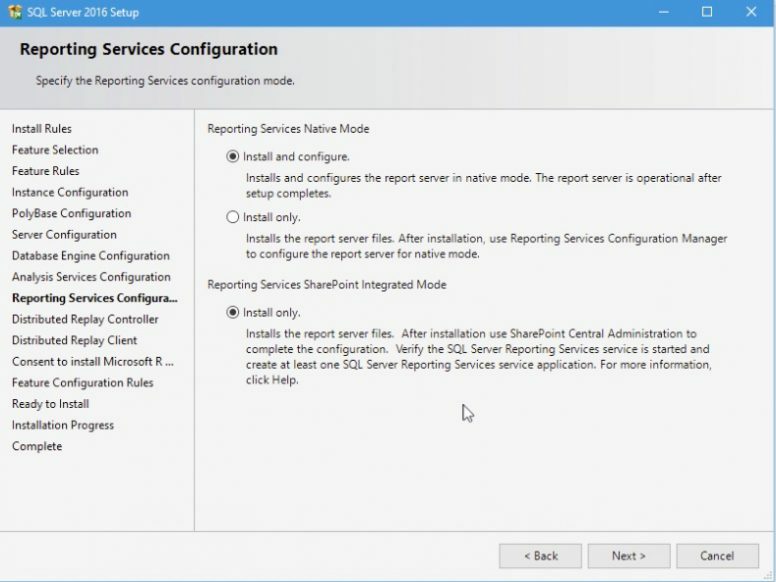 In the reporting services configuration, you can select the Install Only option to just install the service now and later do the configuration to integrated with IIS. Or you can choose Install and configure option to do all the configurations now. For this article I’m choosing Install Only option and press next. 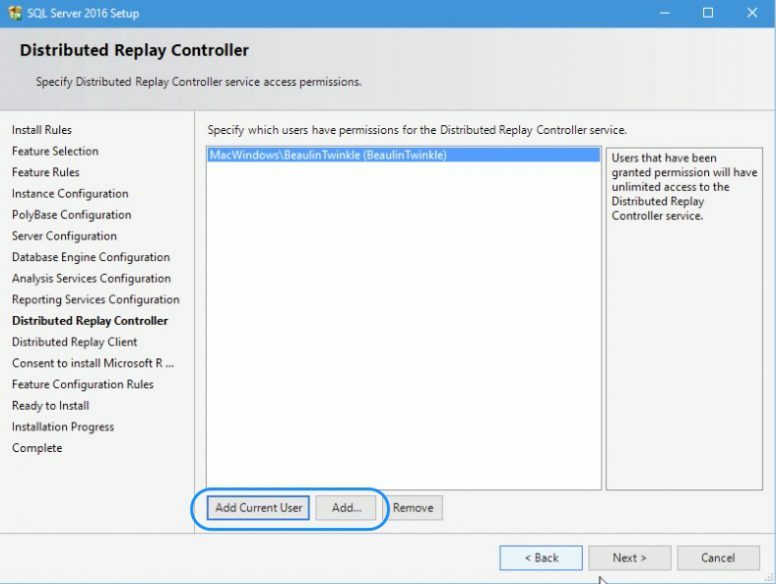 In the Distributor Replay Controller step, add a windows user for permissions and move on to next. You can leave the Distributed Replay Client as it its and press next. The next step will be a Consent to install Microsoft R Open. Press the Accept Button and go to Next. The setup will now check the feature configuration rules and list down all the features so far we have selected. The setup is now ready to install. Press the Install button. The install process will go on for several minutes. Once complete, the setup screen will list down the status of installation of each feature. Now you can close the setup window. SQL Server Developer Edition’s Database Engine is ready to use. But, for browsing through the databases and tables and running SQL queries, you need the SQL Server Management Studio (SSMS). In in version 2016 of SQL Server SSMS is not packed along with the SQL Server Installation setup files. You have to download it and install it separately. 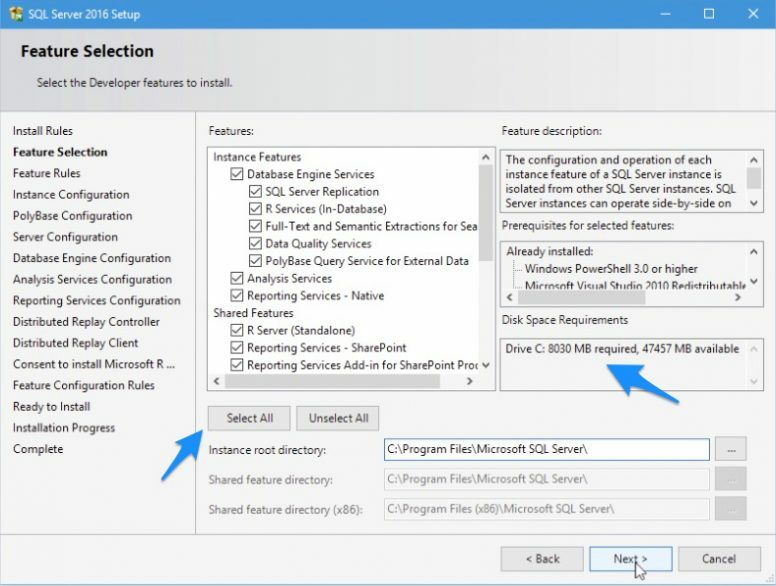 Follow the steps in this article (Get Free SQL Server Developer Edition), to download the setup file for SQL Management Studio or SSMS. 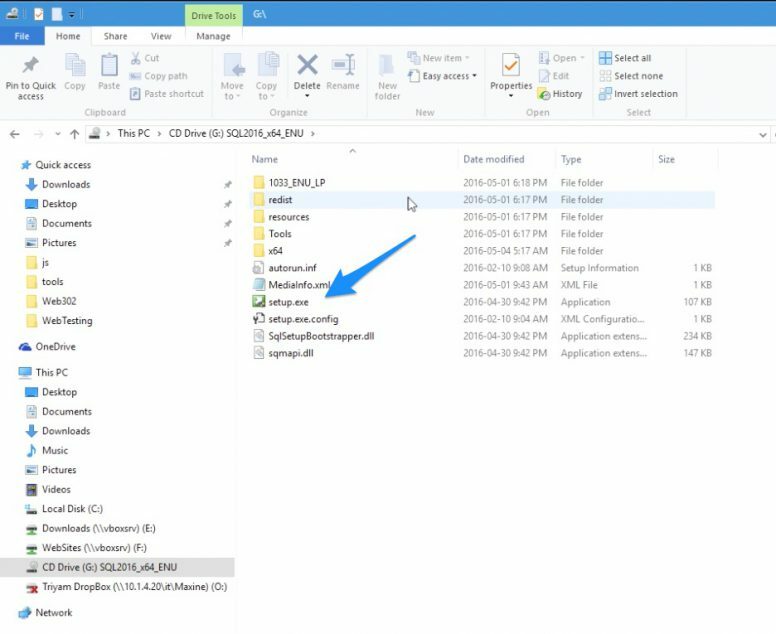 Download the SSMS setup executable file SSMS-Setup-ENG.exe file from https://docs.microsoft.com/en-us/sql/ssms/download-sql-server-management-studio-ssms. 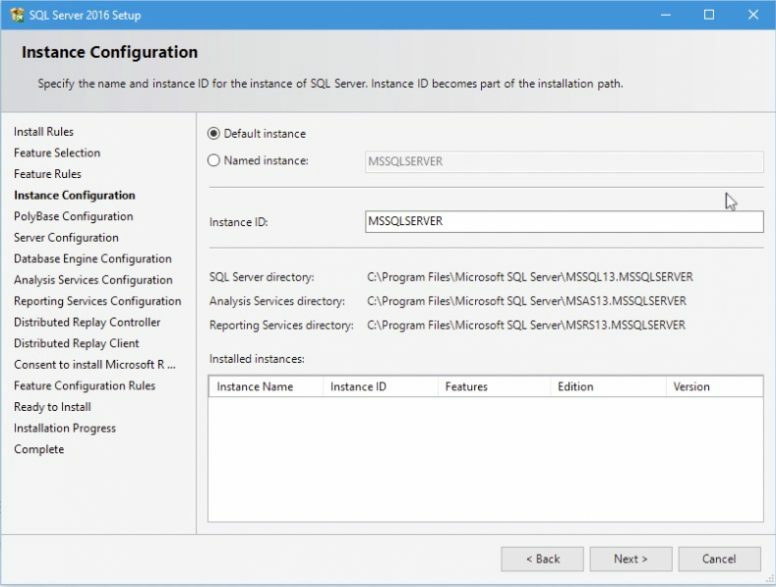 Or, from the SQL Server Installation Center screen (Refer Step 5 above in SQL Server installation) you can choose Install SQL Server Management Tools to got to the download location. 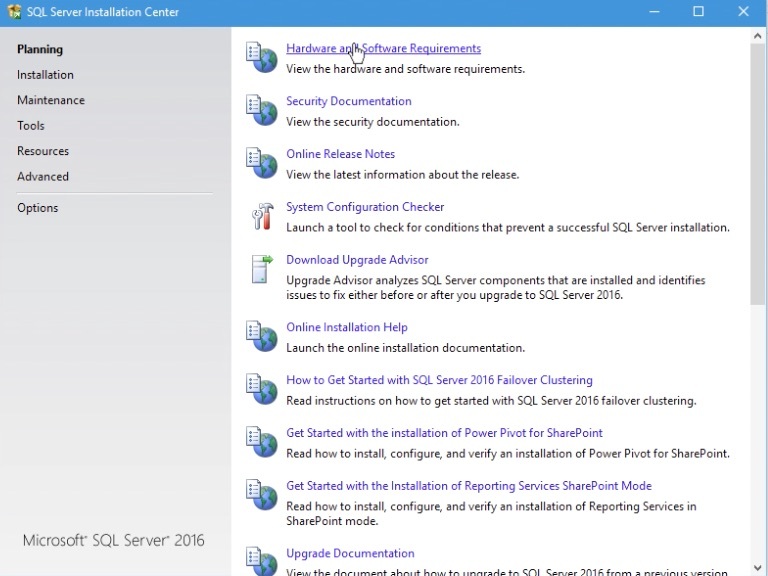 Double click the exe to launch the setup screen and follow the instructions to install the SSMS 2016. 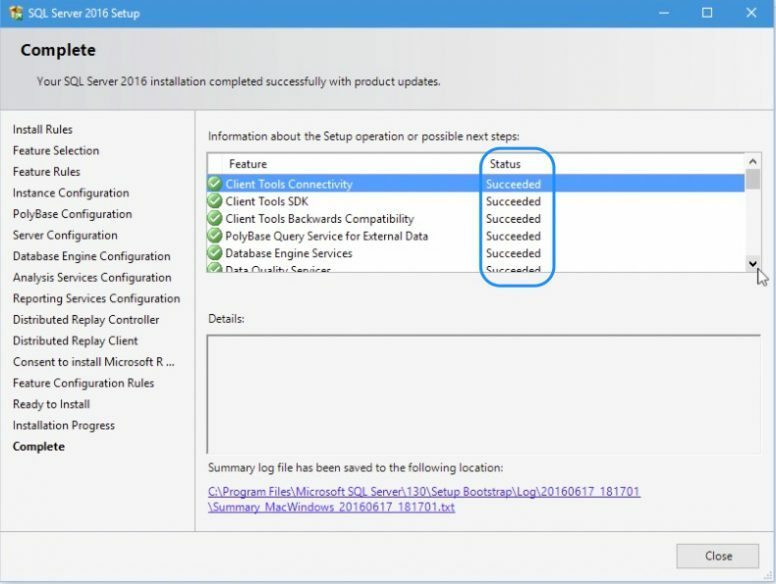 Once the installation is complete, you can launch the SSMS from Start. 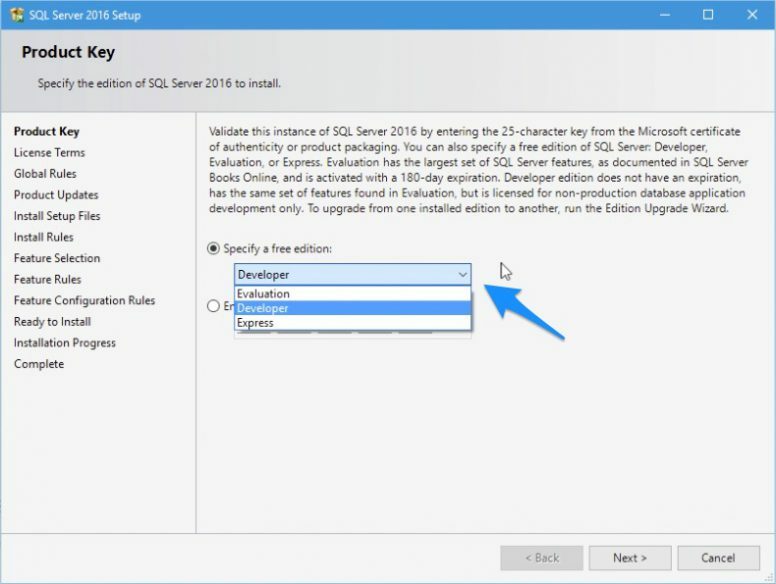 You can connect to the newly installed SQL Server through the SQL Server Management Studio (SSMS). To launch management studio, Go to Start, and look for SQL Server Management Studio and press the icon. In the management studio login window, by default the current logged in windows credentials will be set. 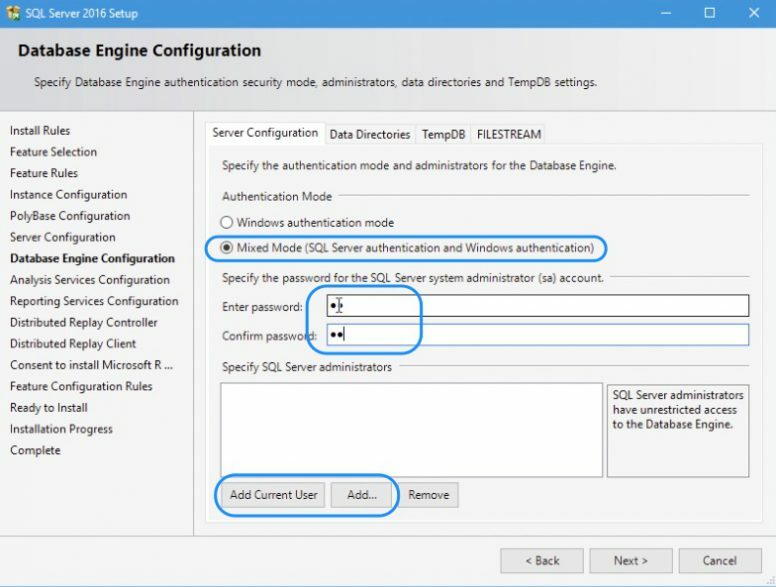 As we have opted for Mixed mode during installation, you can login to management studio either using windows credentials or using sql credentials (like the sa login). Once logged in. In the left panel under the instance name, you can see the installed system databases and system objects. We’ll see more about using SQL Server management studio in the next article.